Elsa Hager » Having a Ball! Hello, friends (or random Facebook acquaintances who enjoy study abroad blogs)! I meant to post earlier, but I’ve been swept up in composing as well as exploring the city and shirking my obligation to study for my German 101 exams. We had an oral midterm yesterday and a written one today. Now that they’re both over with, I figure it’s fine time for a blog. 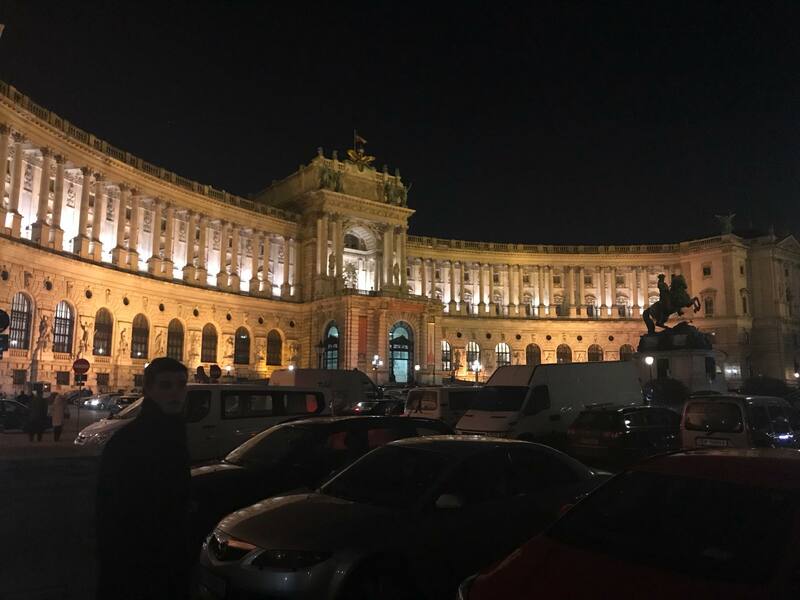 For those of you who missed my last blog and need some filling in, I shall summarize by saying that I am in Vienna studying music and psychology for the semester. 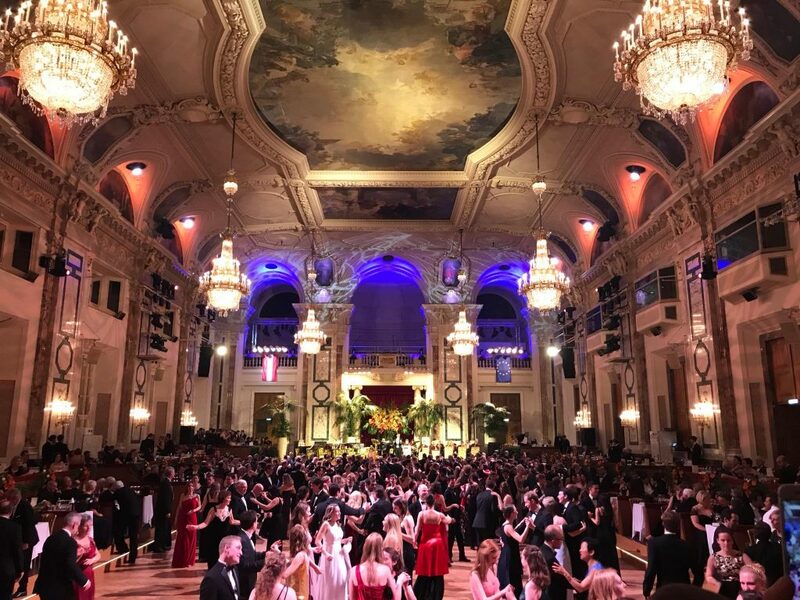 While I still promise you a blog on Austrian work/leisure balance as well as a blog about cheese (I have been documenting and photographing the cheese that I buy each week), this week I’ll be talking about Viennese ball season! First of all, I love balls. And if you have the sense of humor of a 13 year old boy (as I do), that sentence probably makes you giggle. But for real, ball season here is pretty cool. Every spring there are hundreds of balls which take place around the city. 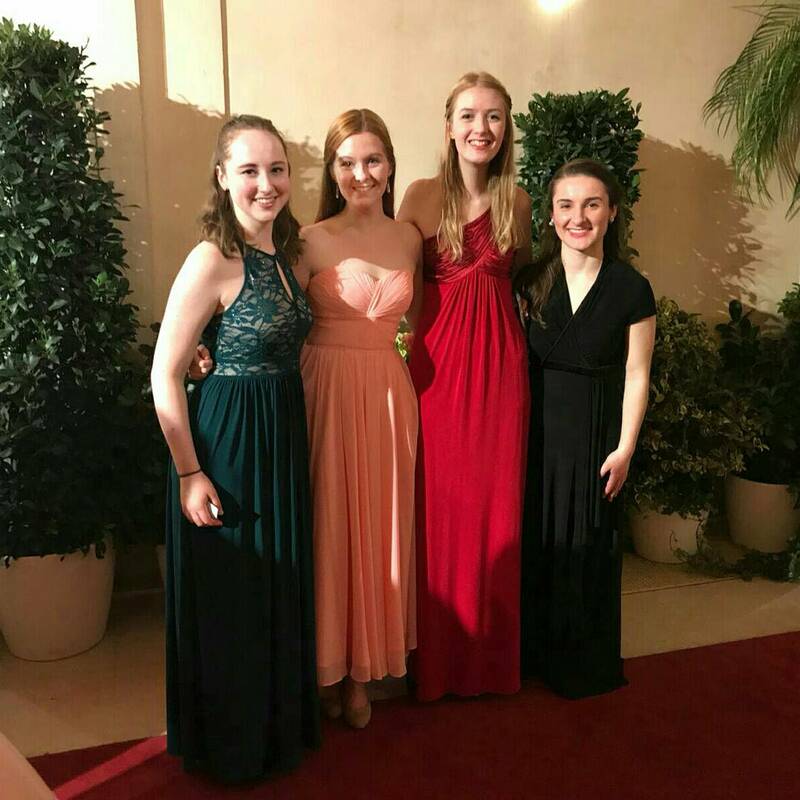 Many are centered around specific professional groups, such as the Vienna Opera Ball or the Vienna Ball of Coffee Brewers. 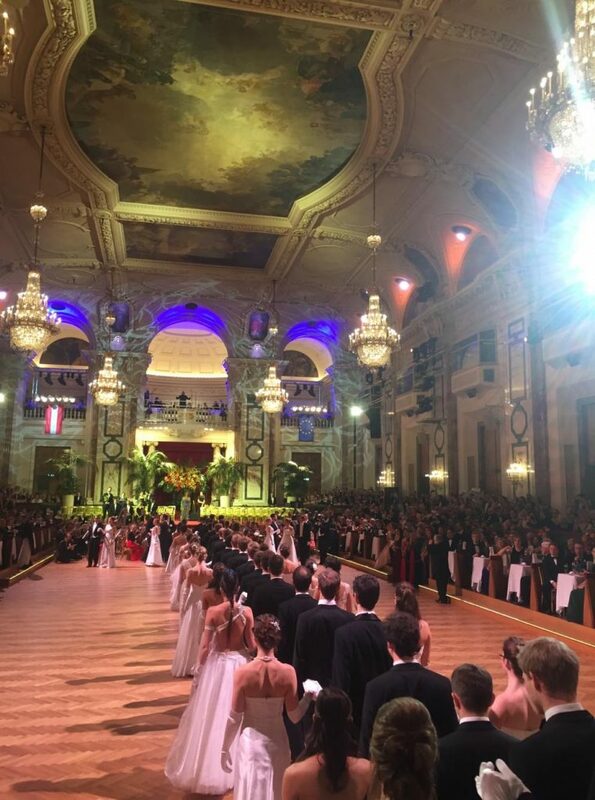 According to my brief internet research, Viennese ball culture is rooted in the early 19th century when the Congress of Vienna first convened in 1815. The Congress of Vienna was held by the four European powers which had defeated Napoleon (Russia, Great Britain, Austria, and Prussia) in an effort to renegotiate the distribution of power in Europe and maintain peace. Because meetings of wealthy white men making decisions that radically effect the lives of others who have no representation in the decision making process tend to be rather drab (and, dare I say it, outdated, despite the fact that this STILL seems to be how the US Congress decides what I can do with my body), balls were established to keep the guests of the Viennese Congress entertained. 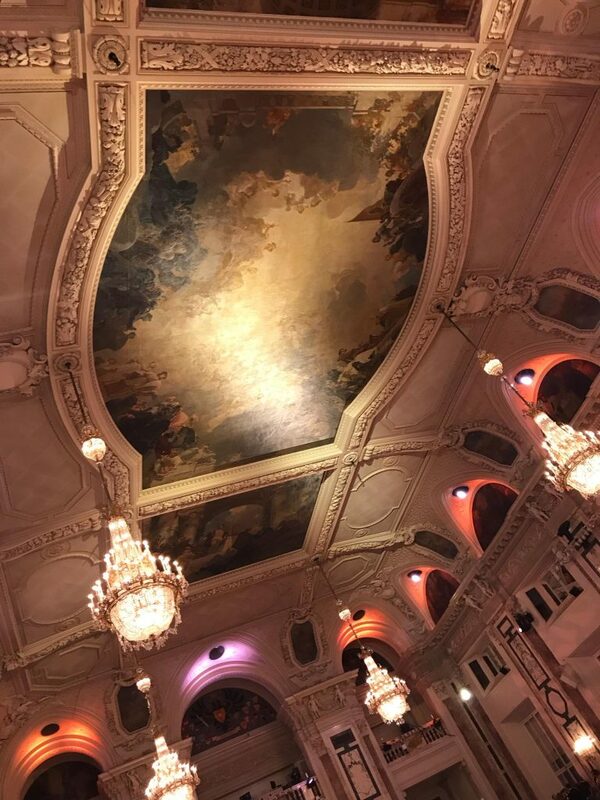 The waltz caught on and never rubbed off, so over 200 years later the good people of Vienna are still spinning around the dance floor in three-four time. 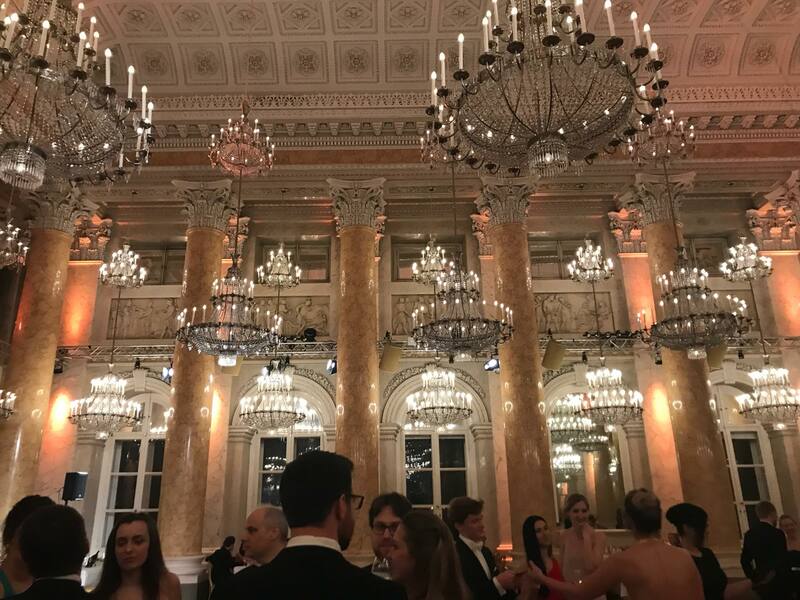 Fortunately, I was able to attend the Technical University Ball in the Hofburg palace (shout out to the IES program for getting us discounted tickets) and it was straight out of a fairy tale. Because I’m bad at describing things and a picture is worth a thousand words, here’s nine thousand words worth of photos for you to peruse. On the red carpet with three of my lovely housemates. 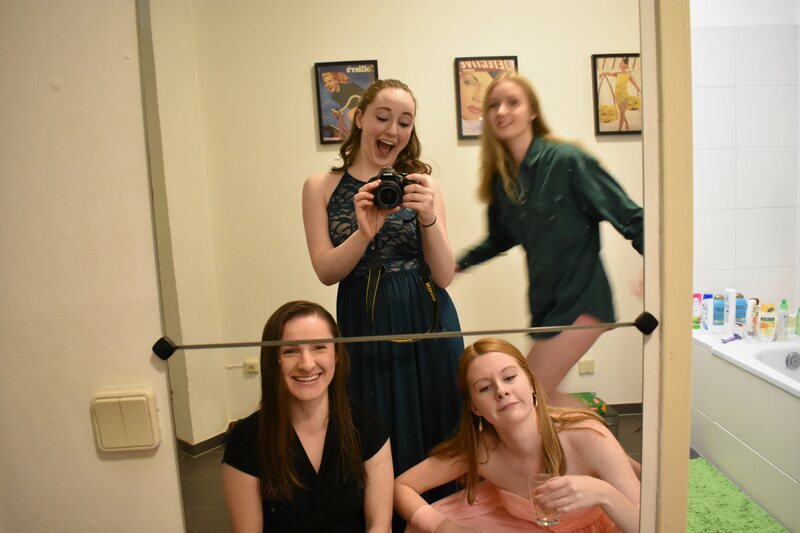 Our wonderful green-haired fourth housemate was at the Opera, but with us in spirit. 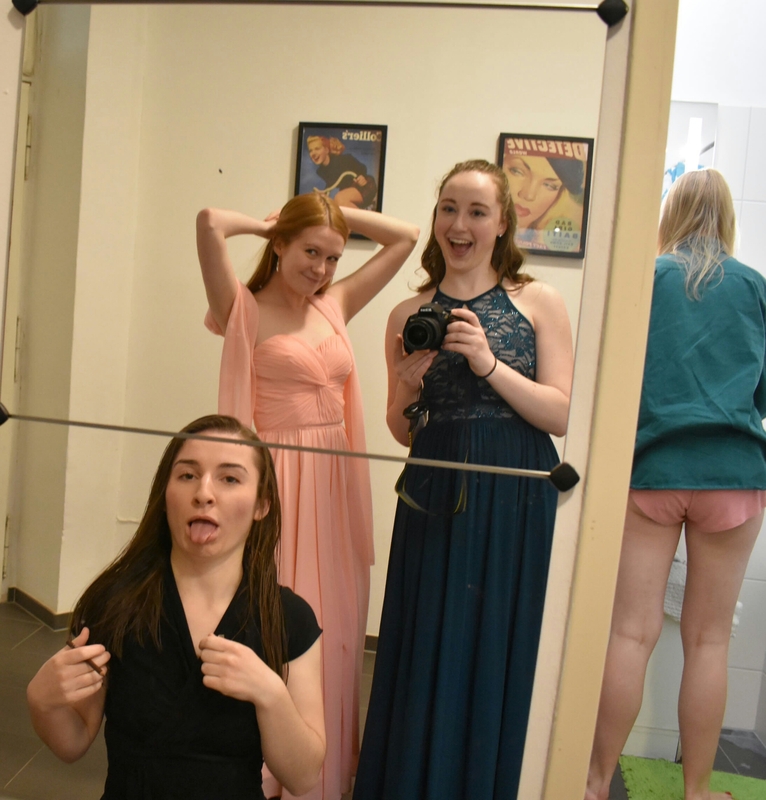 We stayed at the ball until about 1:30am. Balls go pretty late into the night and this one went on until like 4:30 am. I have no idea how anyone wearing high heels would manage to stay that long, but I applaud anyone who did. Overall it was a pretty neat experience. I only danced a little, but it was fun to see older couples showing off their expert moves. Different rooms were designated for different types of dancing and music so there was a lot to see. There was also a live concert at the beginning of the opening ceremonies. They played parts of Ode to Joy, the Austrian national anthem, and, to my surprise and delight, the Star Wars theme. In other news, now that my German intensive is over and midterms are complete, I’m gearing up to start a full load of classes. I’m taking an acoustics and sound recording class, music history, composition, German, and a psychology class. I will also be working in the IES library. I have an entire week off before everything starts up. Tomorrow I’ll be hopping on a bus to Graz before heading to Salzburg, Munich, and Prague. I’ll try my best to document those adventures as well! Auf Wiedersehen until next time!